It was very nice to have representation by someone with familiarity with the Bureau of Narcotics and Dangerous Drugs and the Missouri Dental Board. I would give Jason Call a very high recommendation! Super Duper Firm! 5 Stars! Jason was great! Sheila, your communication was awesome! Overall Excellent - not enough words to express how appreciative we are of you. You didn't treat us "clients." Please stay in touch Jason. We consider you a friend! Emily is very thorough, professional, and on top of everything. I was very pleased with the quality of her work! This was the first time I needed a lawyer, and the best experience! It was a long process but Jason (and of course Sheila) were amazing! Thank you so much! I could not have asked for better representation. Chip is amazing and works hard to do the best by his client. I strongly recommend!!! I am very pleased with all he has done for me. Emily was very easy to work with and did an amazing job. I would and will highly recommend her to anyone needing legal services! When I first began to realize I might need an attorney, never having the need before, I was at a loss as to how to find a good one. So I asked people who work with attorneys and I called those they recommended. Only one attorney returned my call, Chip Gentry. Chip always returns my calls. I met with Chip, who appeared to be intelligent, professional, and competent. He listened closely, took notes, and asked questions. He was realistic about the situation I faced, avoided making predictions about how the legal process might turn out, and was conservative in his estimation of potential success. By the end of our time, I felt listened to, taken seriously, and understood. Thus began my journey with Chip Gentry, and in working with him grew to appreciate his obvious legal talent, brilliant strategic and analytical thinking, but most of all his love for justice and our constitutional system of law. He truly loves what he does and is very, very good at it. I also began to realize and greatly appreciate the fact that his partner Jason Call and their entire staff possess the same level of competence, integrity, and professionalism. They were all involved in my case, working together as a great team. Chip informed and advised me each step of the way, always thinking long term, but keeping me focused on the present situation and prepared for the next step. He was my guide through the very complex intricacies of the legal process. The breadth and depth of his knowledge of law became evident as he took time to explain court procedure, case law, and statute in ways I could understand and appreciate. When representing me, he was well prepared, concise, and effective in the presentation of my case. Our hearing was the last on the docket, which allowed me to watch other attorneys in the courtroom ply their trade. Compared to other attorneys, I was manifestly confident in Chip’s capabilities and proud to have him as my attorney. Finally, and this is on a more personal note, Chip was expeditious with my limited financial resources, carefully allocating his work in order to maximize his investment in time and effort, without any unnecessary or improper costs. He was very considerate of my finances, and though I’m sure he has wealthy clients, he continually treated me with dignity and respect. I did not feel at any time less valuable and important to him than other clients, and never doubted that he always had my best interest in mind. I will always be grateful for my experience with Call and Gentry. Knowing that their company’s business is to do such excellent work, I have hope for wrongs to be made right, the innocent protected, the accused vindicated, and justice served. They have my highest commendation and recommend them without reservation. Chip Gentry is an exceptional attorney who consistently goes above and beyond for his clients. Chip is able to anticipate the needs of his clients and is skilled at making me feel like I am his only client. I would not hesitate to engage him to represent my company regarding any construction litigation matters, including, but not limited to, those related to fenestration issues. Chip is a fantastic lawyer. He is an asset to his clients. I have worked closely with him and participated in a trial with him over the years. He did a phenomenal job and was very well respected by the judge. Chip has skillfully managed national litigation for building product manufacturers, coordinating efforts of local defense counsel in most states. He has shown great knowledge, skill and effectiveness in this role. Additionally, he has a robust litigation practice for serious personal injury matters. If Call & Gentry are not the best in the state of Missouri, then I would like to meet someone who is better. 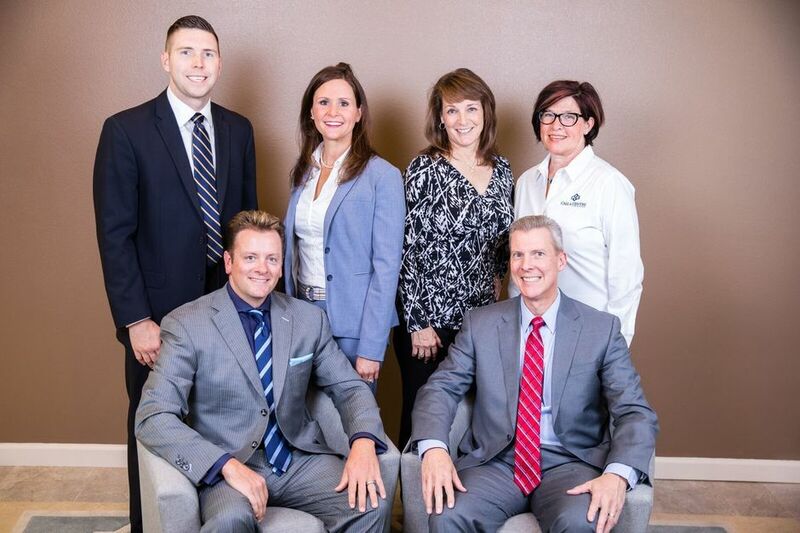 Great group of folks, easy to work with and make working with legal issues a breeze. - Colby Johnson, President at RBM, Inc. I've known Chip since he was a legal "pup" and his work ethic and professionalism have always been two of his best assets. Chip is always ready for a challenge never backs down . Always ready to fight for a good cause. Jason and your team at Call & Gentry Law Group, thank you so much for your continued assistance and support. I really do appreciate all that you did. You're terrific in the work that you do!!! Thank you again. Although from the very beginning of the lawsuit, we felt we were without fault, and that this was a terrible injustice to all parties, there is always a concern when you are at trial. When it became evident that we would be going to court, I specifically asked that Jason Call represent us. We had talked with other attorneys. Although this was a "small suit", I believe it was won for all of the defendants, because of the expertise exhibited by Jason Call. We are greatful. Jason did an exceptional job and worked on this case as if it were a life and death matter. I have been impressed with him from our first contact with him, and I remain very impressed to this date. I wanted to take this opportunity to send you a written note to again try to convey my gratitude to you for your help in a nightmare of this malpractice suit. You showed tremendous energy, tremendous insight, and tremendous persistence in seeking accurate details and thorough history. In closing, I want to reiterate two statements. One, if I was an attorney, I certainly would not be willing to sit on the other side of the table from you because you are so talented, and number two, the medical school at the University of Missouri at Kansas City made a very big mistake when they rejected your application. If you ever want to play golf in the lake area, just give me a call. Thank you! To Jason Call - I want to thank you again for all of the work that you did for the case. I know this is your job, but I want you to know that it means a lot to me that you worked countless hours researching, planning, traveling and preparing everything that was necessary to provide a defense for [me] and the care that I provided. Your time and talents are greatly appreciated! Jason - Thank You is so short but says a lot. You were great and I appreciate your handling this case. We will never be able to thank you enough for the excellent and outstanding way you handled our civil case. There were many hours and days of work you put into your presentation. We appreciate every bit of it. The plaintiff didn't have a chance. Thank you again and again for all you did. I can finally rest now, knowing the plaintiff got his just dues. This was a 9 year nightmare for us - but thanks to you and your outstanding abilities as a great attorney - we are greatful! Chip represented our company in two complicated cases. He handled both cases with extreme care, diligence and skill. At all times the attorneys representing us were reliable, cost-efficient, and their specific industry expertise and knowledge proved invaluable. Our attorneys doggedly pursued justice for our company, which made all the difference in obtaining a positive outcome for our company. Jason - I just wanted to thank you for the help you've given me in getting my life back and back on track. While I don't have my license in hand at this moment, I feel there is hope.